February 11 is Islamic Revolutions' Victory Day, also known as Anniversary of Islamic Revolution. 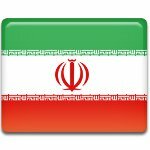 This national holiday commemorates the end of Iranian Revolution. The Iranian Revolution (or the Islamic Revolution) began with the demonstrations against the Shah in 1977. The demonstrations developed into campaign of civil resistance and it intensified in January 1978. The strikes and demonstrations paralyzed the country in the second half of 1978. The Shah fled Iran on January 16, 1979 and left his duties to a regency council and prime minister. The royal reign collapsed on February 11. In order to prevent disorder and bloodshed the provisional non-Islamist government declared itself neutral in the current political disputes and ordered military personnel back to their basis. The control was yielded to Rudollah Khomeini, the leader of the Iranian Revolution. Revolutionists took over government buildings and palaces of Pahlave dynasty, that marked the end of the 2500-year-old monarchy in Iran. Islamic Revolution's Victory Day is celebrated with demonstrations, sponsored by state, in every city of Iran.